Whether you are visiting Santiago, Chile, on vacation or working in the country for a period of time, you are going to want to learn more about this beautiful area of the world. Take advantage of one of the many Santiago day tours that take place every day of the week. 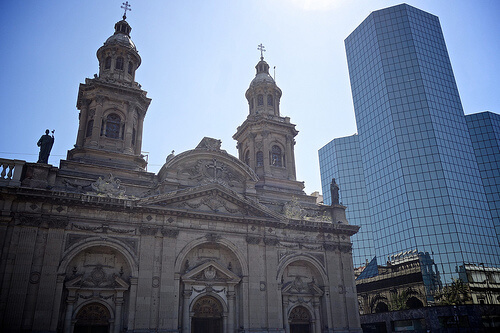 The Santiago day tour is an excellent tour for those wanting to learn more about Santiago, Chile, itself. This is a half-day tour where you travel around the city with your guide, who points out interesting and important features of the city. You will visit San Cristobal and Santa Lucia Hill as well as enjoy a tour of various neighborhoods in the city. There are different options for this tour and some include lunch, which will help make your introduction to the city complete. Check out this list on TripAdvisor for more ideas on where to start. Of course, you don’t want your experiences of Chile to be limited to just the city of Santiago, and luckily there are a number of day tours you can take to some extremely interesting places. A day trip to Viña Del Mar and Valparaiso is well worth your time, but be sure to get plenty of sleep the night before because you’ll have a very long day packed to the brim with things to see and do. Check out this list of Viña del Mar’s popular attractions. There are many more Santiago, Chile, day tours to choose from. You can enjoy a tour of a real vineyard and winery complete with wine tasting. Or get out of the city for a hiking tour of the countryside, a horseback tour into the Chilean wilderness. There are both group and private tours available, so you can generally take a tour at your convenience. There really is no better way to get to learn about the Santiago countryside, culture, and history than taking a Santiago day tour. Have you already been to Chile? What are some of your favorite destinations? There is no better experience than being in a vacation place and being able to get the opportunity to know it in more detail, and as expressed the content the best options are the tours that you can find following the above links, I personally prefer half day guided tours As they allow you to go out for a walk and to know for yourself, to interact more closely and without pressure what attracts your attention during your guided trip, however it is not too bad to take a couple of days to travel abroad Santiago de Chile to other nearby regions.